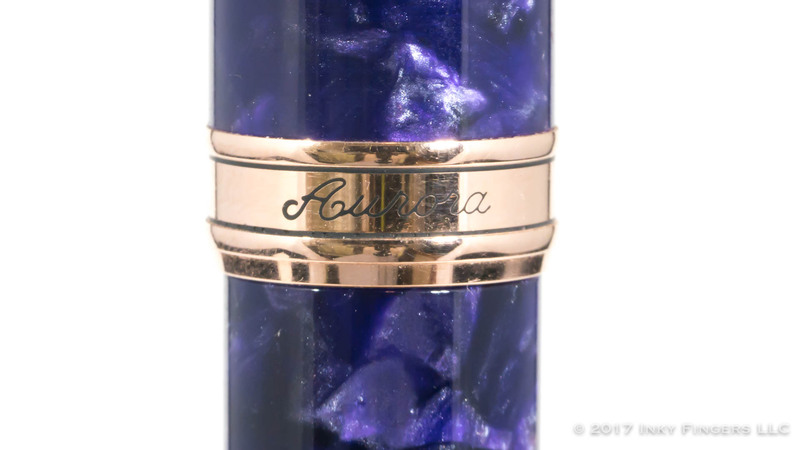 I’ve been reviewing/talking about Aurora Pens a lot lately. 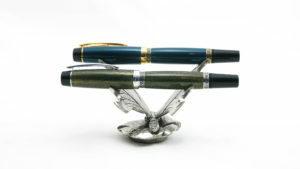 It’s no secret I’m a big fan of a lot of their pens. 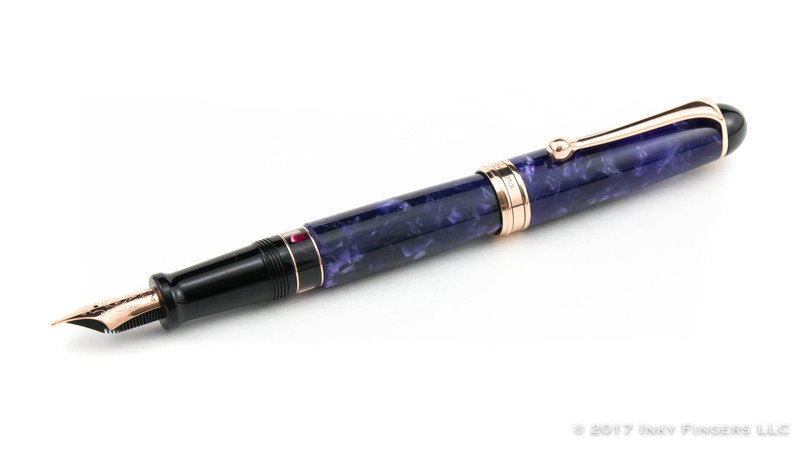 This pen, however, may be my favorite of all the Aurora pens I’ve tried/talked about/purchased. 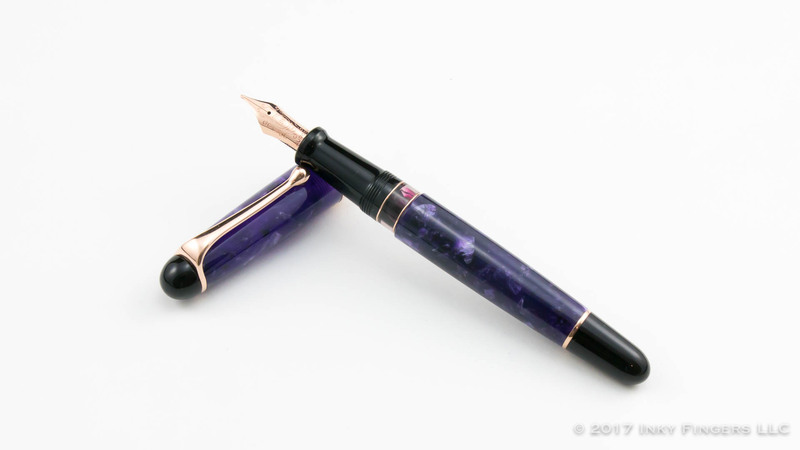 When I first saw a picture of the Aurora 88 Nebulosa, I knew that this pen needed to be in my collection, and I did something I have almost never done before: I pre-ordered it. 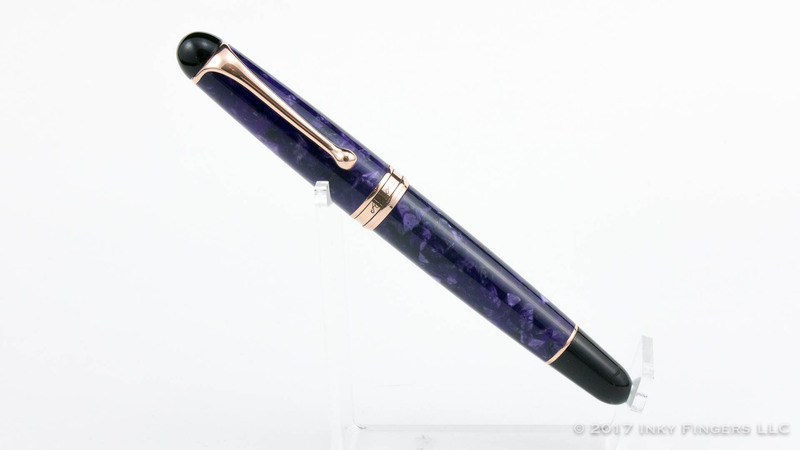 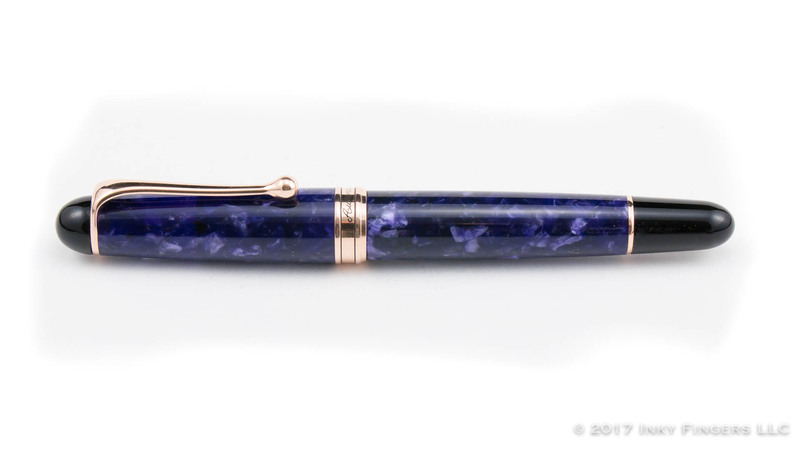 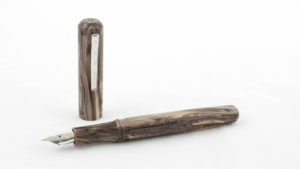 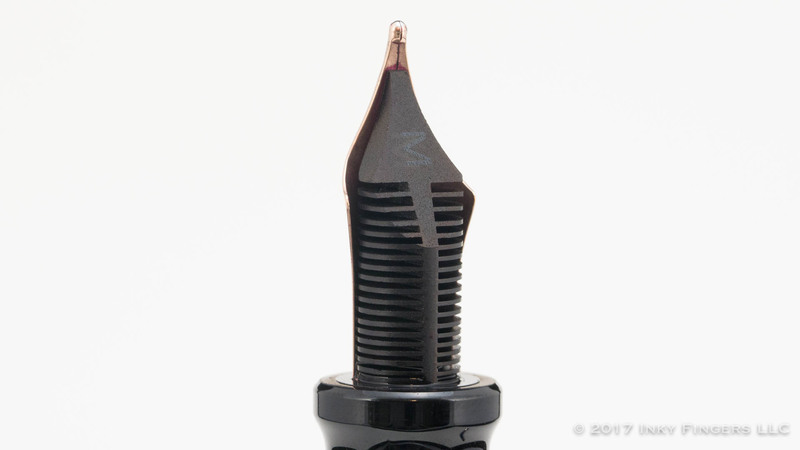 Like the Sole limited edition from the year before, the 88 Nebulosa is a limited edition run of 888 pens. 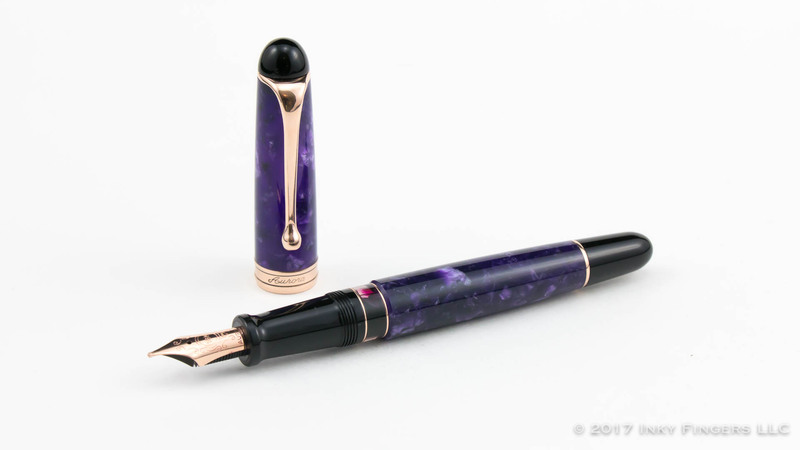 This time, it is made with the most perfectly gorgeous purple auroloide material. 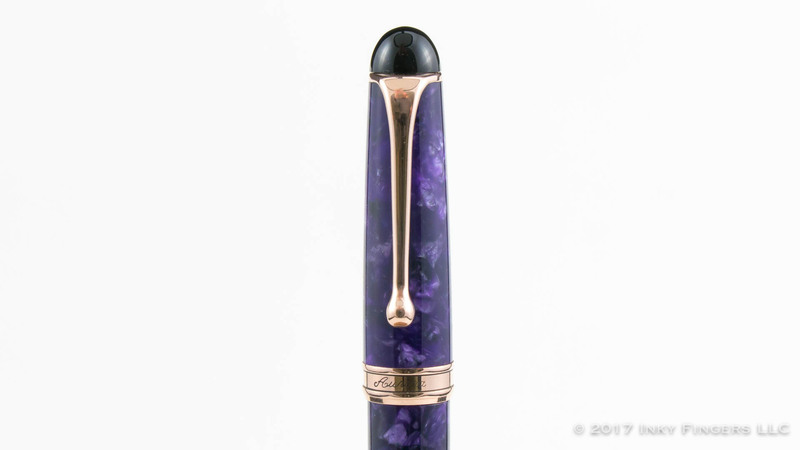 A lot of purple materials for pens tend to lean toward the pastel side, being lighter, with more a reddish undertone. 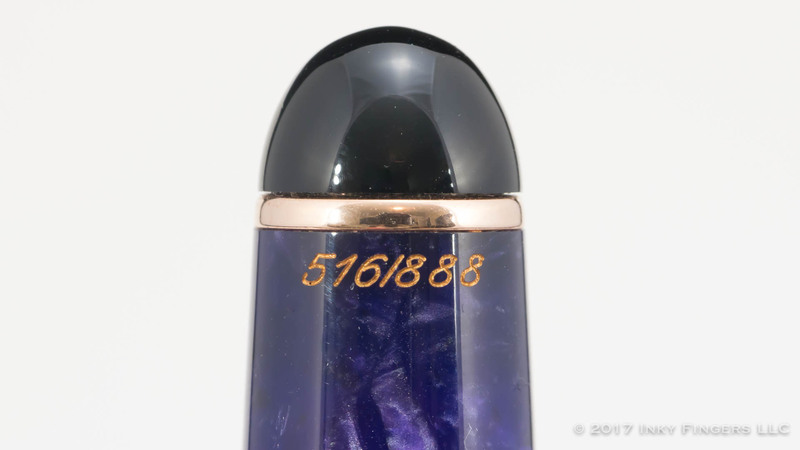 This is a deep, rich violet material. 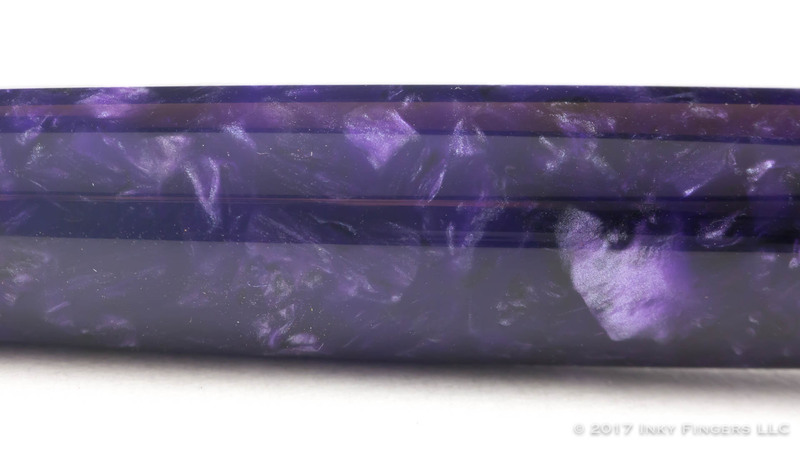 It’s more of a blue-purple than a red-purple and is loaded with shimmer and depth. 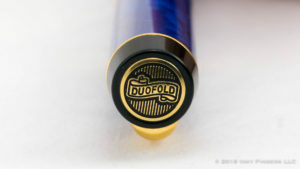 I think it’s one of the most stunning materials I’ve seen in fountain pendom. 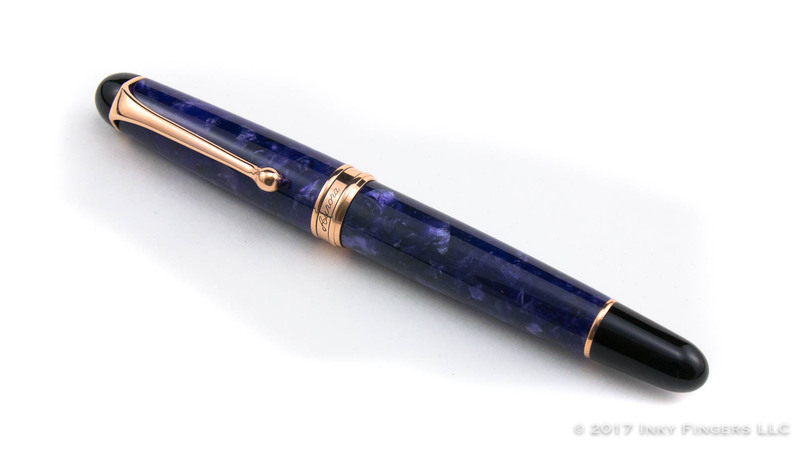 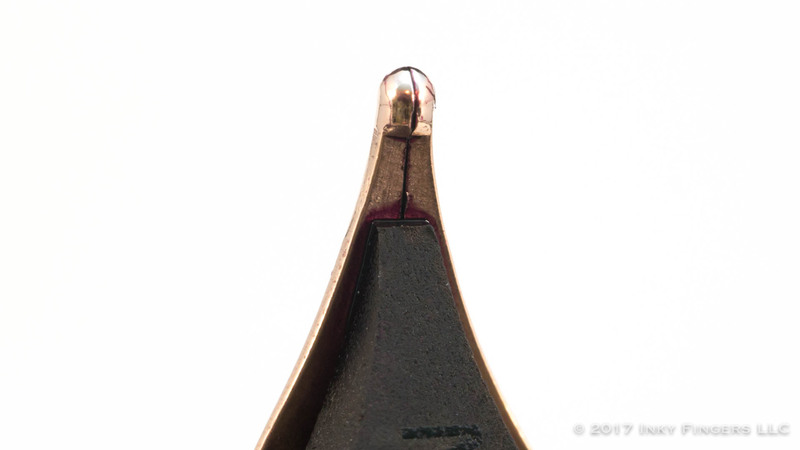 It’s also highlighted throughout the pen with rose gold trim rather than yellow gold, which I think lends a very classy air to the whole look. 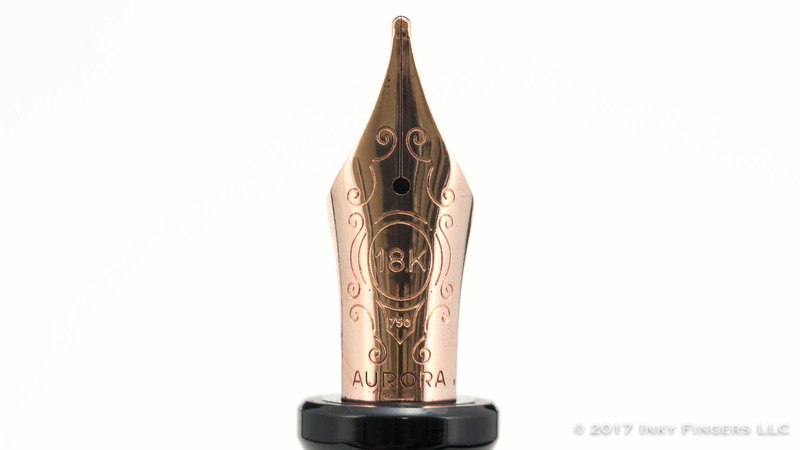 For a more in-depth review of the 88, you can see my review from the beginning of the season for the Aurora 88 Sole and the Aurora 88 Anniversario. 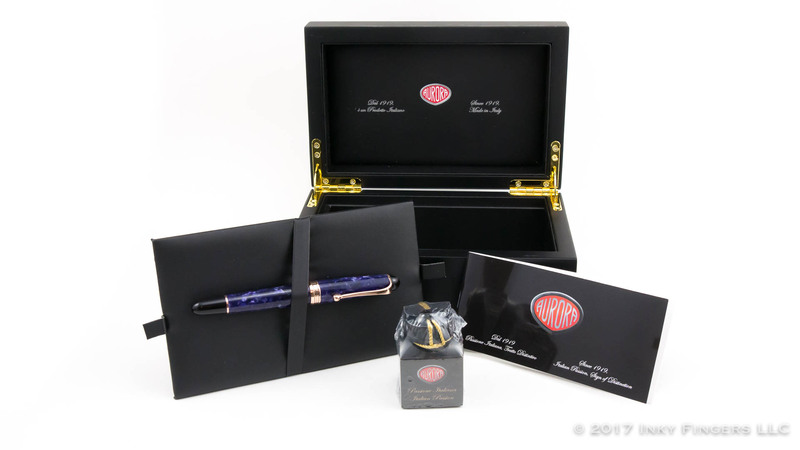 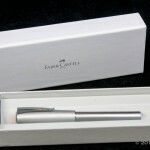 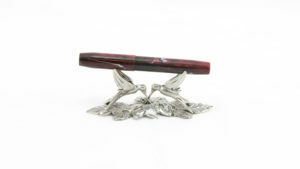 The links below are to pen retailers who are sponsors at the time of publication and have the pen in stock. 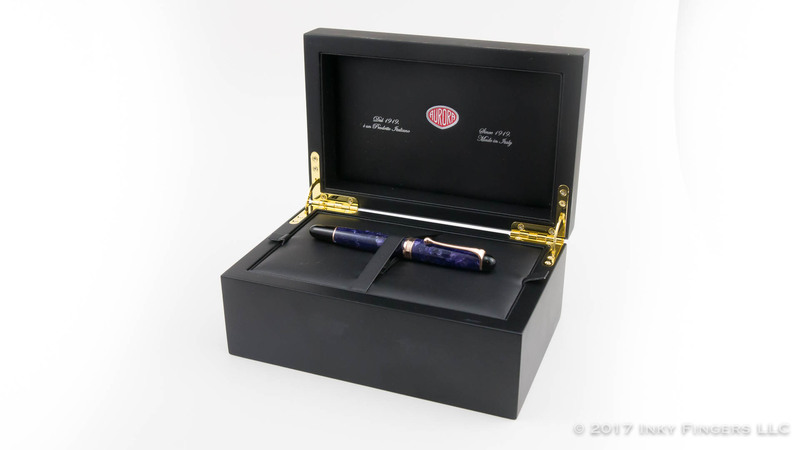 As this is a limited edition, these pens will not be available forever, and these links will likely stop working at some point.